Hey everybody. BrainLazy managed to secure a sneak preview of an early build of the fifth installment of the Civilization series. We were guided through 45 minutes of gameplay, highlighting changes and improvements over a predecessor that was already extremely solid. Every aspect of the game has been addressed with a brand new engine created exclusively for the game. Let’s see what we learned, and what we have to look forward to. The presenter assured those of us in attendance that the build we were looking at was a pre-alpha, and that we could expect some bugs. That said, what we saw was flawless and running smooth as silk. The PC was a custom built, top tier Core i7 system running Windows 7, but we were assured that the game will be 100% Direct X 9 compliant and will run on lower end systems reasonably well, if perhaps with fewer shaders. The first and most obvious change to the game is the shift to hex tiles. There were many reasons for this change. The six sided tiles connect with more surrounding tiles, leading to much more natural movement for troops, more logical expansion for towns, and far more realistic geography. Gone are the right angle mountain ranges and ambiguous waterways. The effect that this has had on the map is striking, producing an overhead view that is as plausible in layout as it is gorgeous, and gorgeous it was. Graphically the game was given an overhaul as well, as one would expect. Every feature is modeled in great detail, from the nooks and crannies of mountain ranges to the swirls of fish in the ocean. Leaders have been given an upgrade, visually speaking, by appearing as a fully modeled character rather than simply as a head. They will also speak their native language, for you polyglots out there. As for Leader AI, changes have been made to the behavior of computer controlled players to act in a consistent way. Queen Elizabeth, for instance, will guide her civilization preferentially toward maritime development. The goal is to produce an experience something like playing against a friend. The AI will tend toward playing a certain way, but won’t necessarily be predictable. There have been some changes to the UI, as well. Most of the functionality has been streamlined and moved to the corners of the screen. Controls used most often are at your fingertips, while less frequent controls are a menu lower. Text notifications now remain on the corner of the screen until you are ready to deal with them. Mousing over gives you some more information about the alert, and clicking it shifts your focus to the indicated portion of the map. Advisers have returned, but experienced players will see little of them, as they have been designed to primarily steer you in the right direction once you’ve gone astray. Stay on the right track and they will stay quiet. The new engine and design tools have been made even more mod friendly than its predecessors. In order to help spread the word when spectacular mods like Fall From Heaven are made, the game will feature an in game mod repository. Users will be able to install, search, and rate mods right from inside the game, and even follow links to relevant websites using an built in web browser. The underlying scripting has also been shifted to lua, the language that is also used for coding the UI. Several new gameplay features have been added. One notable addition is city-states. These are NPCs that will only ever be a single city. You can choose to help them by defending or donating gold. In exchange you will get friendships, and with it bonuses like food tributes. Diplomatically, research agreements can now be made with other civilizations, putting up large amounts of gold in exchange for an extended period of scientific boost. The combat has made a major shift. Stacking armies on a single tile is no longer the end all be all of military planning. Tiles now can hold only a single unit type. The developers feel that this will produce true tactical gameplay. Adding to the depth is ranged combat as well. Geography can be used to great effect, with higher ground giving a defense boost and choke points, a la the Hot Gates the 300 Spartans so effectively defended, providing strategic benefits. Sea warfare has gotten a boost in that any unit can eventually choose to “embark” allowing them to traverse water, though while traveling they will be considered a civilian unit and fall immediately to any military force. Player are encouraged to be flexible with their armies, growing and shrinking the number of troops to prevent a huge standing army from constantly depleting resources. The preview focused mainly on the military aspect of the game, for marketing reasons mostly, but more info will be coming in the future regarding diplomacy. 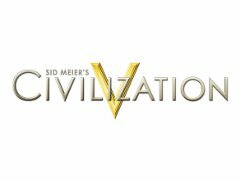 I’ve always loved the Civ series this looks great! !